If you really love fall and hate how winter's snowy slushy doom steals it away from us, then you might make your own "zero footprint shirt" a la Brooklyn-based artist Dave Rittinger. 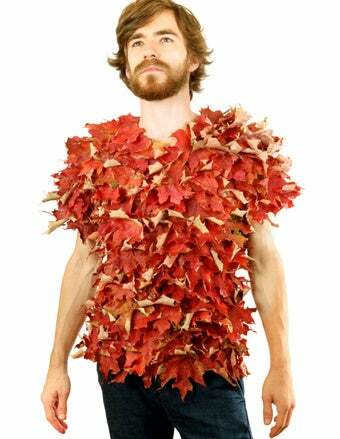 Wear fall on your person, all winter long. If you wanted to buy one of these as a stocking stuffer, bad news: Rittinger doesn't sell his fashions. But you can buy pictures of him wearing the shirts, and stuff some stockings that way.